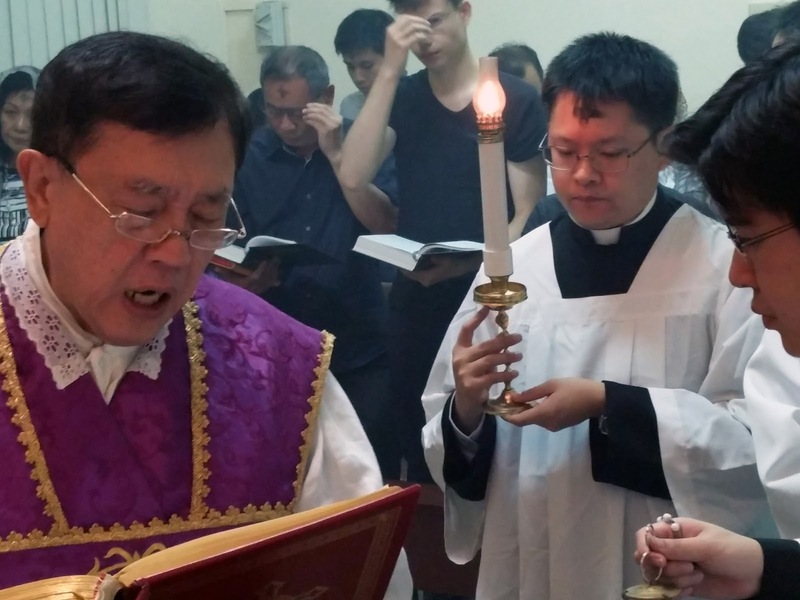 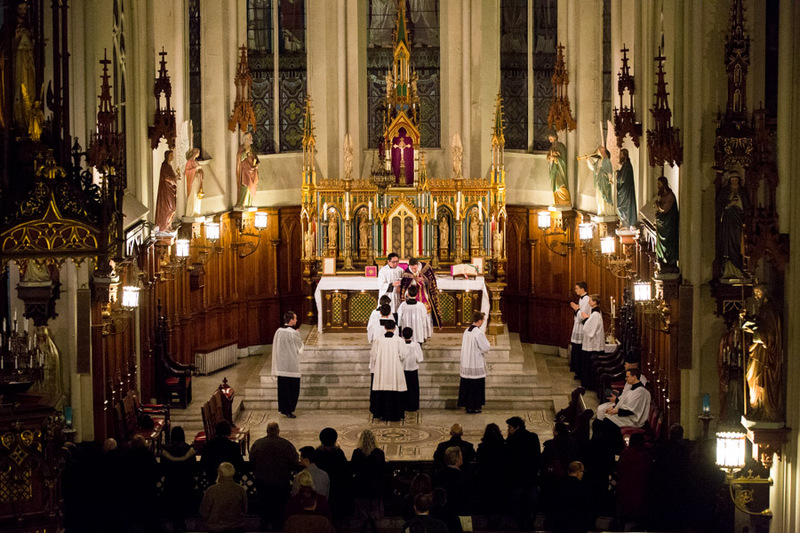 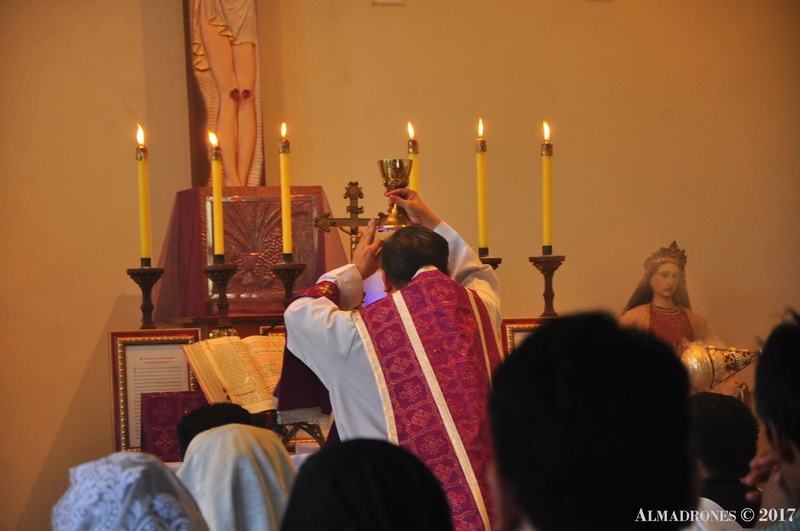 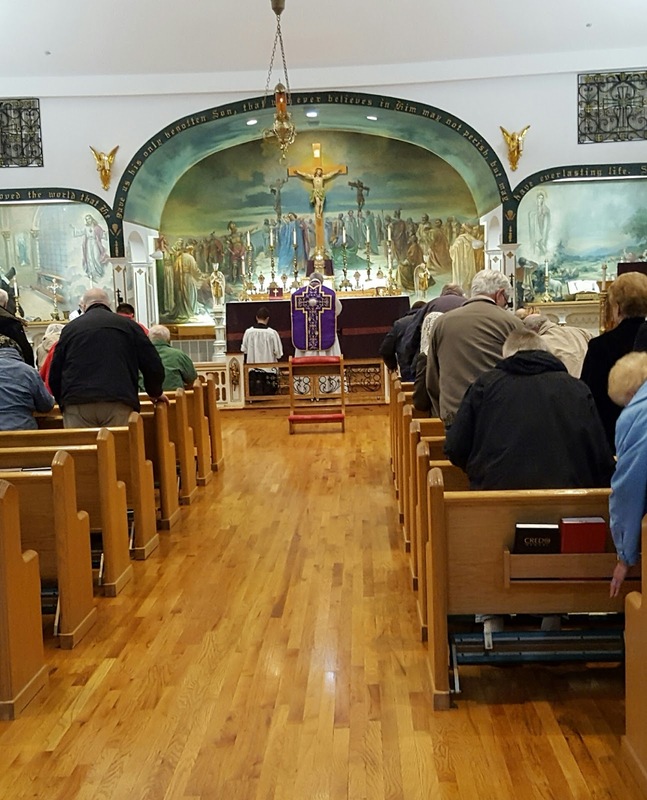 As always, thanks to all the readers who send in photographs of their Ash Wednesday liturgies. 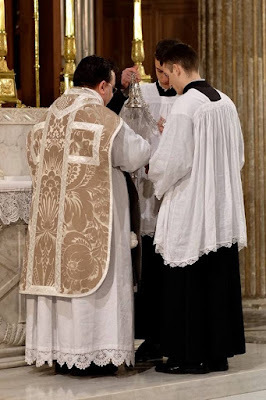 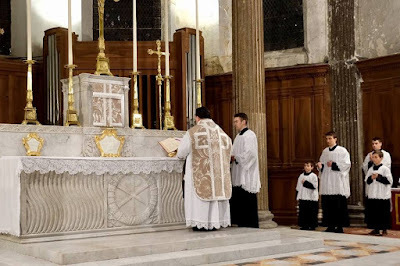 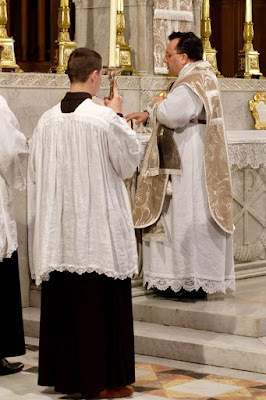 Our headliner is definitely a first for NLM: ash-colored vestments (couleur cendrée) from the Fraternity of St Peter’s church in Lyon, a classically medieval custom of the ancient use of Lyon. 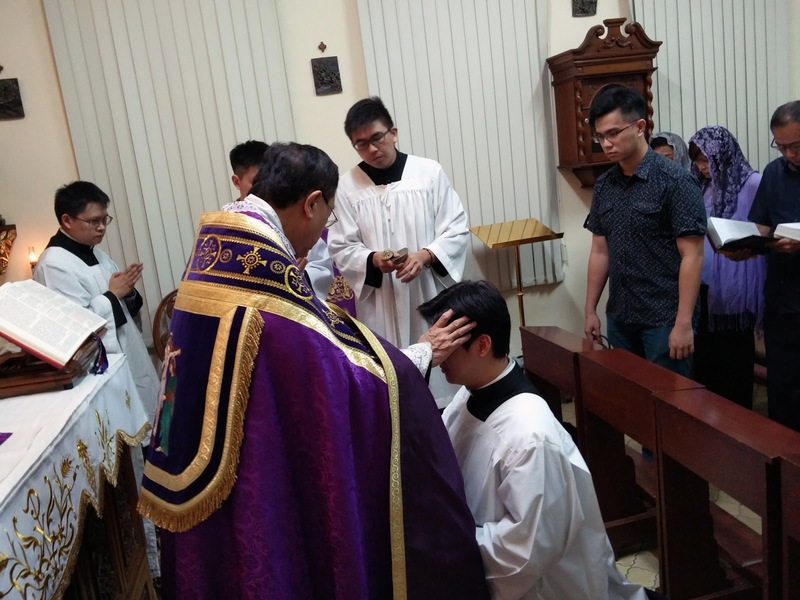 We wish you all a blessed and holy Lenten season. 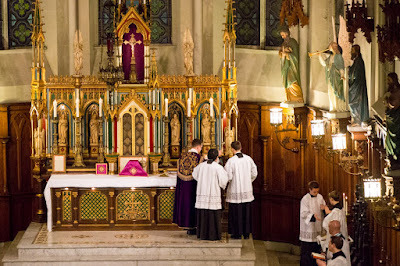 Our next photopost will cover the feasts of St Joseph and the Annunciation, and Laetare Sunday, which all fall within a week of each other this year; a request will be posted the week before. 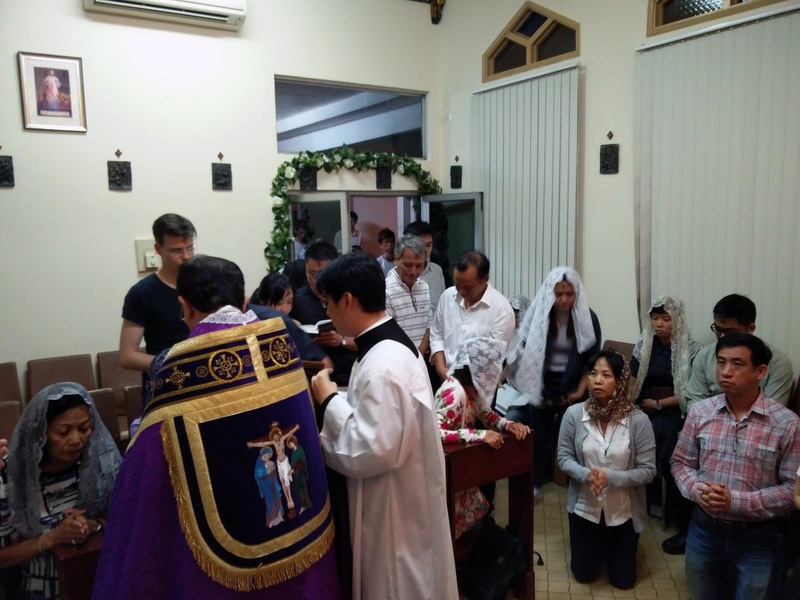 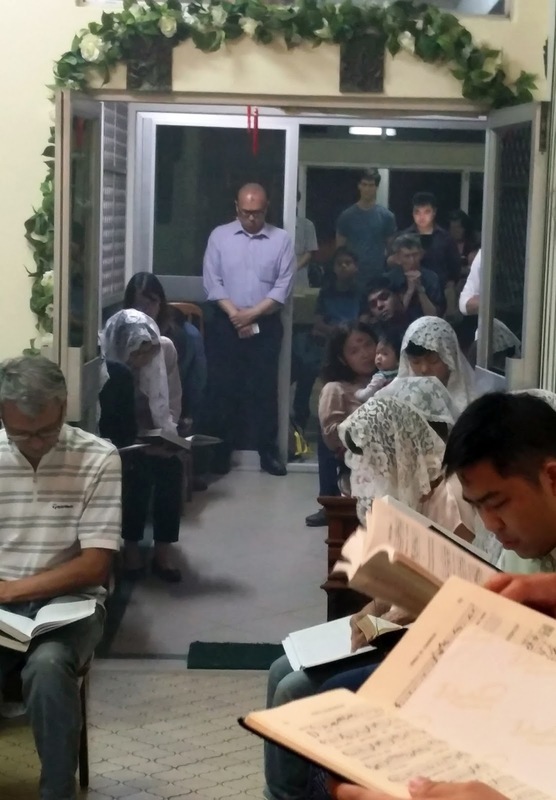 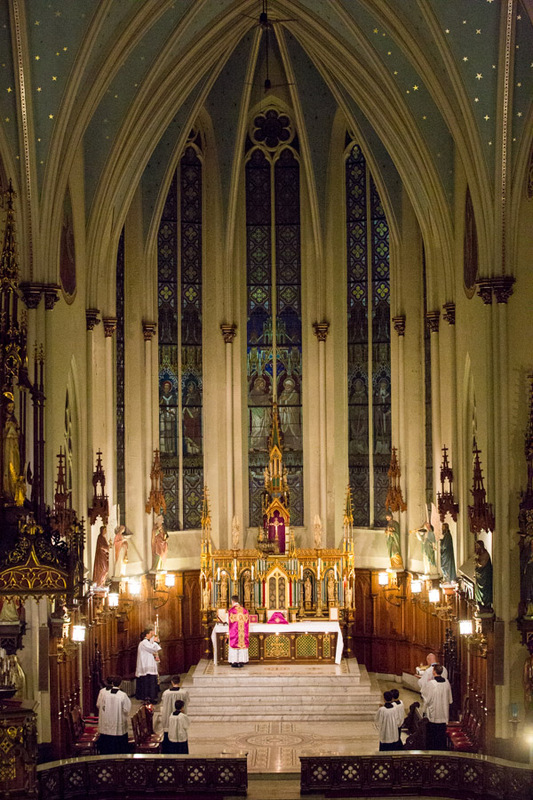 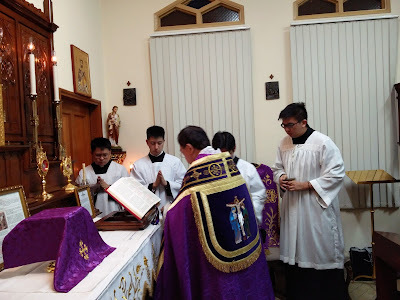 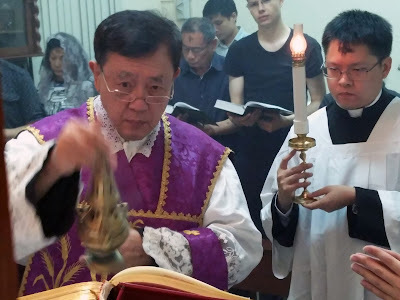 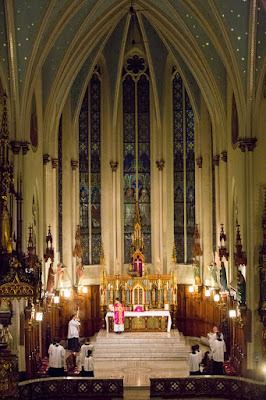 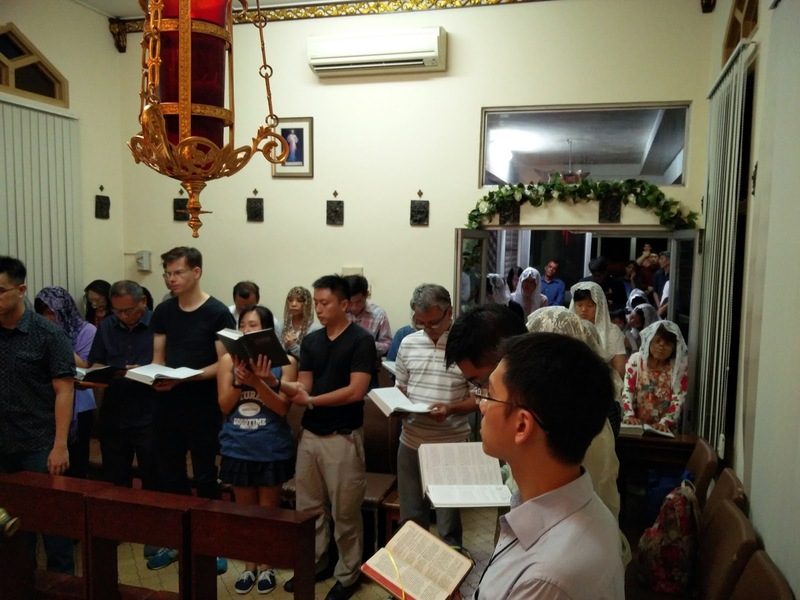 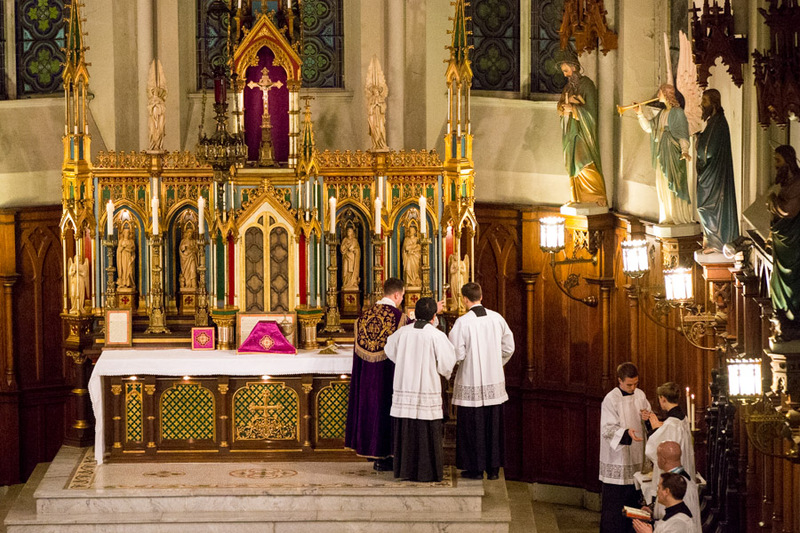 This is a chapel in a home for retired priests; very edifying to see the faithful put up with a bit of crowding to attend the holy Mass on this important day! 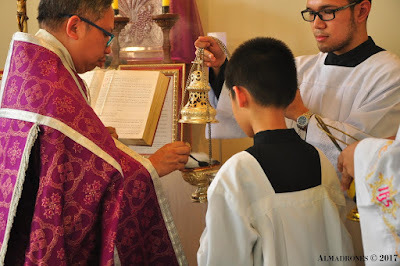 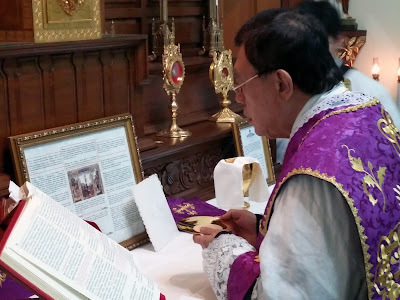 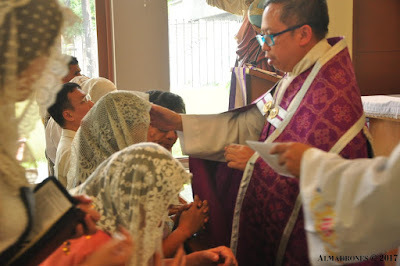 This church has been hosting the Summorum Pontificum group of Tolentino since their church of the Sacred Heart was damaged in the recent spate of earthquakes. 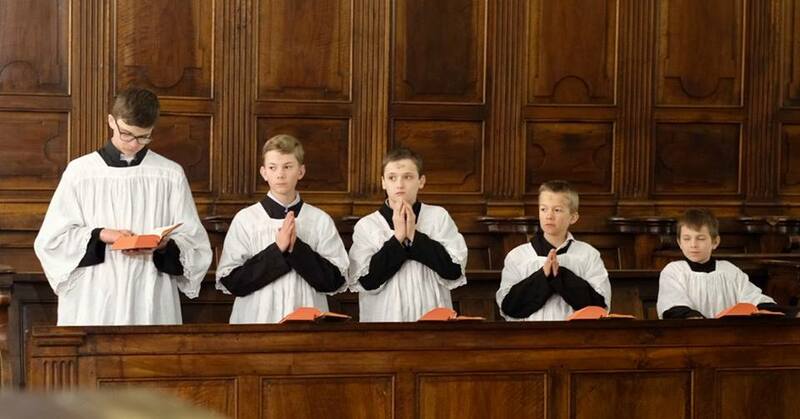 And again, tradition is for the young!